Expert Review of The Jewish Kingdom of Kuzar by Rabbi Zelig Shachnowitz, one of our picks of the top Jewish books for kids! Over one thousand years ago, did the population of an entire pagan country, nestled between the shores of the Black and Caspian Seas and secluded in the forests of the Crimea, really convert to Judaism? Or is it just the stuff of legend? 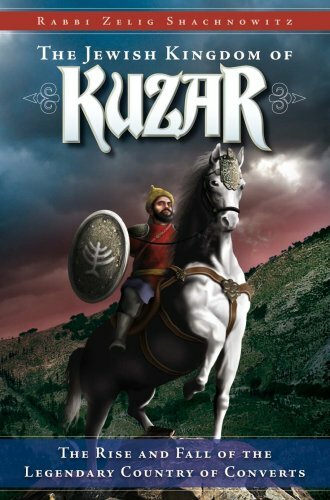 This sweeping historical novel tells the story of the Kuzars, with startlingly authentic detail and high quality writing that absorbs the reader completely. The fascinating plot and colorful characters bring enlightenment and inspiration even as they captivate the imagination.